Great card. Personally, I have never used them either but they even look creamy and amazing. Love the effect the Gansai Watercolors have on those swirly diecuts! The PTI sentiment is perfect for this beautiful card, Tracey! Gorgeous blooms. I love those paints!! Tracey those blooms!!! Good things come to those who ... paint? Love these blooms!! Those Essentials are on my list! Gorgeous, gorgeous, gorgeous! Now I need to put mine together! Fabulous use of these dies!! Love the way you coloured the flowers too. Beautiful water coloring for the flowers...so pretty! Tracey this is beautiful!! I just got this set and can't wait to use it! I love your watercoloring. I am going to get some of those watercolors! They look amazing! My daughter has been longing for these watercolors for ages! They sure are beautiful here - I love the depth of color on each flower! Oh, I love this! Beautiful way to use the paints. Gorgeous! I love mine and need to use them more . love those flowers.. gorgeous card. Tracey....what a stunning card! I love your coloring...so pretty. 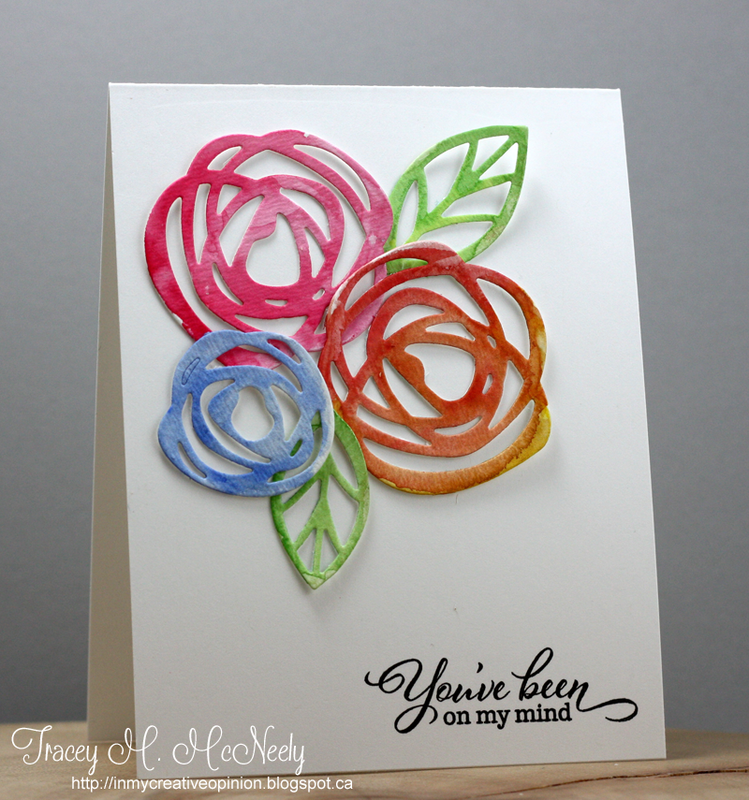 Your watercolored flowers are beautiful Tracey! Such gorgeous flowers and so perfectly colored. You know those dies are in my cart at Ellen Hutson--just need to wait for a few things to come back in stock and then I will hit the 'buy it all' button. Thanks for the little push in that direction. Oh, how beautiful, Tracey! I love how you colored your blooms and leaves...Swoon! 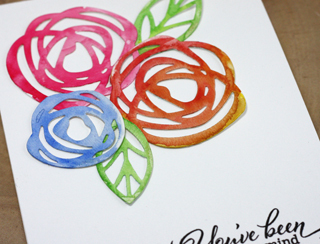 These water color paints are amazing, and I love how you blended them with your die cuts! Love all the bold, rich color here, Tracey! It pops so brilliantly off your white base. Yum! Oh my....you've rendered me speechless with how pretty these blooms are! WOW! Way to keep up with your coloring and learning new techniques along the way.